A classic child’s jodhpur giving a traditional style and suitable for everyday wear. This practical jodhpur is made with cotton and spandex for great 4-way stretch increasing comfort. The jodhpur features a discrete front zip pocket and rear pockets, a full zip fly, belt loops and rolled up bottoms. A good all-round jodhpur. Machine washable. 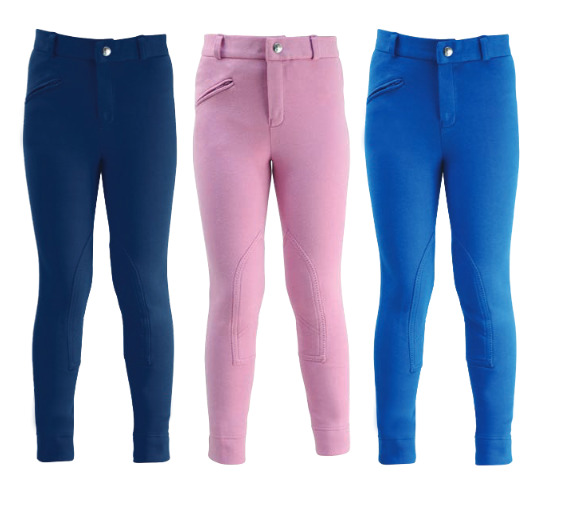 There are currently no questions for HyPERFORMANCE Winterton Children's Jodhpurs - be the first to ask one!